Found this one long-running series of the air-cooled economy cars that was made by the France carmaker Citroen, well-known as the Citroen 2CV production start from 1948 and terminated in 1990. As shown here is a first generation which are called "Ripple Bonnet" built in 1959. This could be a perfect candidate to restore, described good condition, complete, solid body frame with good shape top. Currently running, the car is sold with spare drive train & various extra parts. 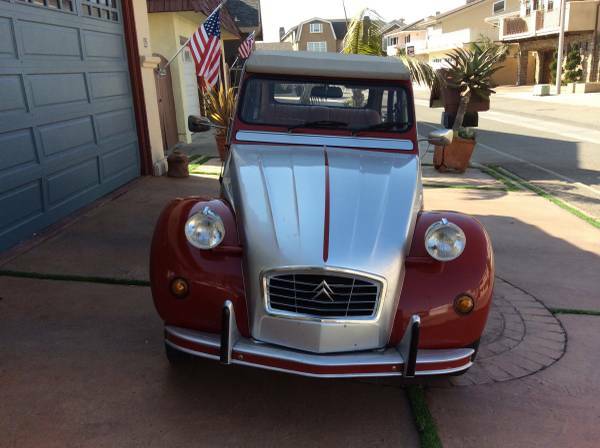 Being offered in Craigslist a day ago looking for $9500 located in Los Angeles, California. 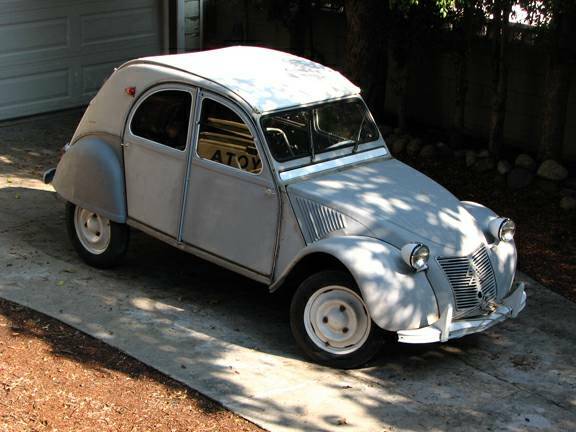 This vintage air-cooled economy car from France made by Citroen, commonly known as the Citroen 2CV long live production years start from 1948 to 1990 come with same styles and design (never get change or modernize), front-engine, front-wheel drive or four-wheel drive layout, as the picture is 4-door hatchback front-wheel drive model released in 1985 still in excellent condition looking for a new owner. The 2CV it one of the everlasting vehicles where show up in the middle of the 20th century that remained relevant and competitive for many decades, such as the Jeep, Land Rover Series, Fiat 500, Mini and Volkswagen Beetle. Very rare in US especially like its condition. The exterior looks great come with perfect shape and solid body frame, interior looks clean and neat, unfortunately no engine photos to reference. As always you should come to get actual condition. More info and details please read below.